Are you planning to spend the summer in Brussels? Summer is not only the best time to enjoy all the Belgian beer, but also the season for celebration and festivals in the city, including Belgian Independence Day and the bi-annual Flower Carpet event. 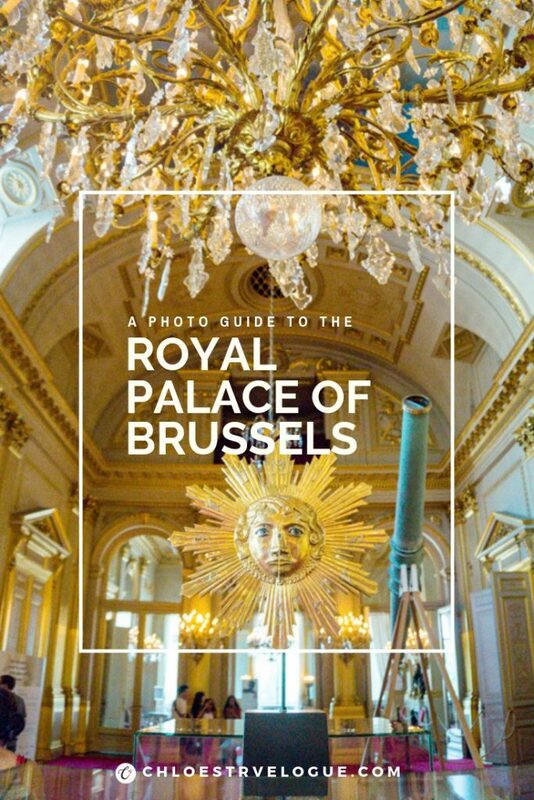 What’s more, there is one special place to visit in Brussels that is only accessible during the summer months — the Royal Palace of Brussels (Palais Royal de Bruxelles). Disclosure: This article contains affiliate links. If you make a purchase by clicking these links, I may receive a small commission, at no additional cost to you. Click here to read full disclaimer. Belgium celebrates its Independence Day on July 21 each year. It is a national holiday commemorated by parades and fireworks. Unfortunately, I missed this celebration by one day on my visit to Brussels. However, I heard the all-day celebration is quite fun and impressive. 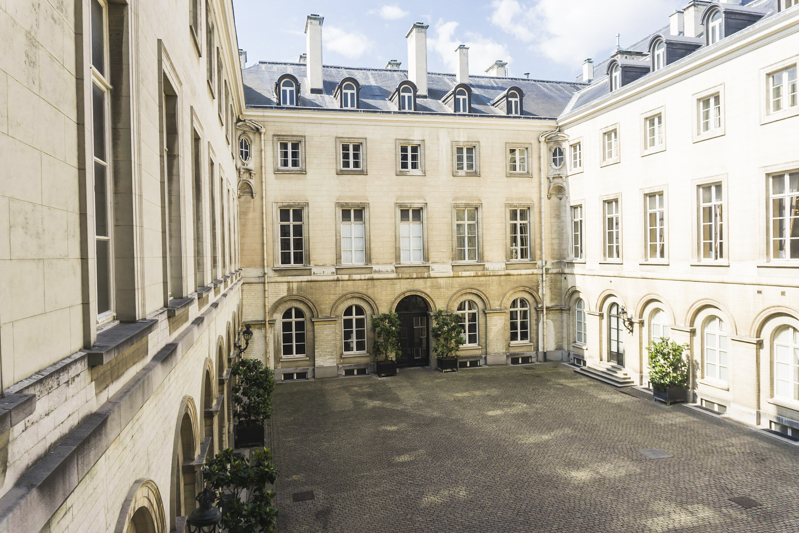 Since 1965, it has been a tradition that the Palais Royal Brussels is open to the public while the Belgian Royal Family goes on summer vacation right after the National Day. The Royal Palace is still in use as the King and Queen’s administrative residence and office. If you follow Belgian political events closely, you might recognize some of the “stages” on the news as the state visits, news conference and other special events take place in many of the rooms in the palace. That’s why it is open only during the royal’s official vacation. I believe the holiday lasts about one month and a half - It’s fantastic to be royalty, isn’t it? 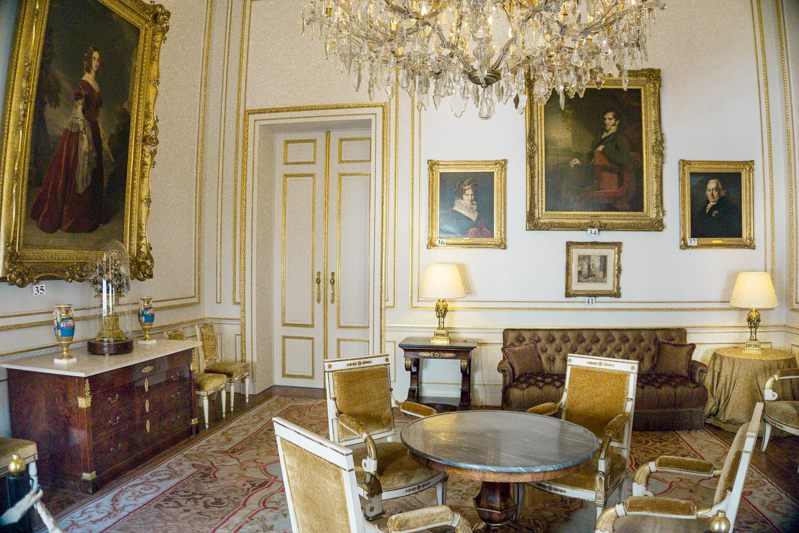 One might ask if the Royal Palace in Brussels is the office for the King and Queen, then where does the family live? The Royal Palace of Laeken (Château de Laeken) is the official royal family residence. As the name indicates, it is located in Laeken about 6km north of Brussels. The park and greenhouses also open in summer during the royal family’s vacation. I have not been there but heard it’s a gorgeous place worth the visit. Website: Click here to check the latest update. 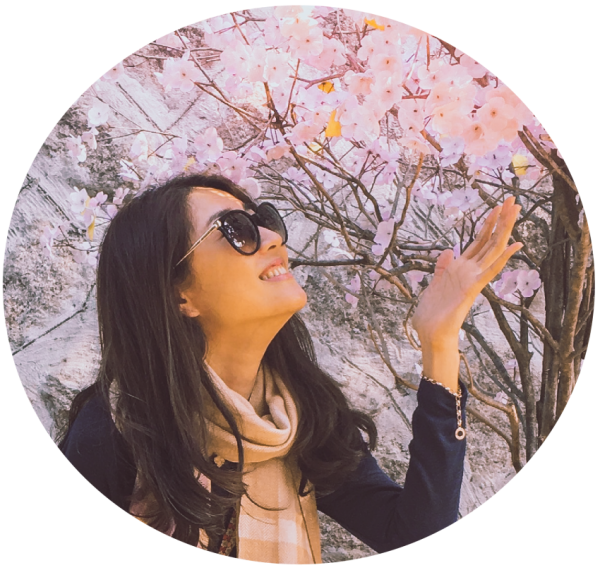 When entering the Royal Palace, I felt like the place was much more welcoming and approachable than other royal residences I’ve visited. A group of tourists was waiting outside the gate for the opening. At 10:30 am sharp, many of the staff walked out to the gate and escorted us visitors to the security line in front of the entrance. We were asked to leave our bag in the cloakroom. The entire process was smooth. 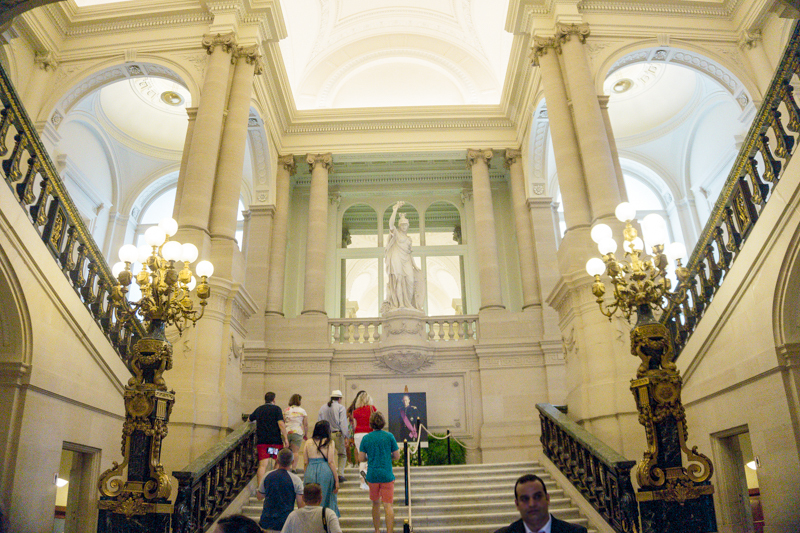 The main stairway to the second floor was royal and eye-catching. I loved the white marble floor as well. This beautiful room is used for ceremonies. It is where the newly accredited ambassadors present their credentials to the King. These White Rooms are elegantly decorated with shabby chic furniture and impressive chandelier. I was drawn into the yellow-tone furnishing in the room. Although well-maintained and antiquely charming, slightly worn-out fabric and wooden legs of the chairs indicated a long history in this room. 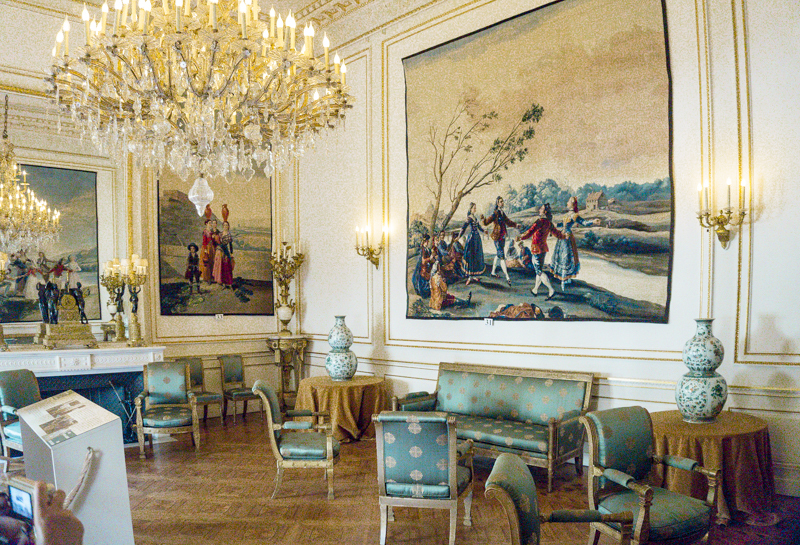 Francisco de Goya’s paintings inspire the tapestries on the wall in the room. 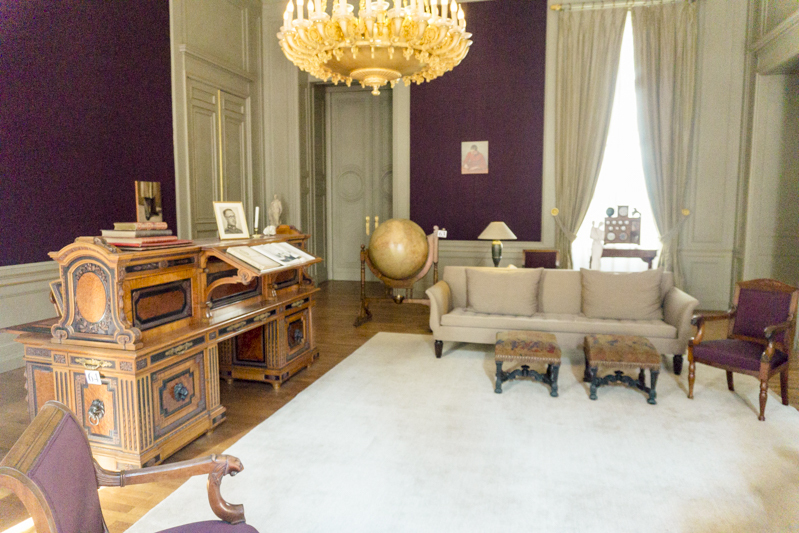 In 2014, King Philippe and Queen Mathilde welcomed the Chinese President Xi Jinping and his wife on their state visit to Belgium in this room. The portraits are King Leopold I and the members of the Coburg family (i.e., his parents and siblings). 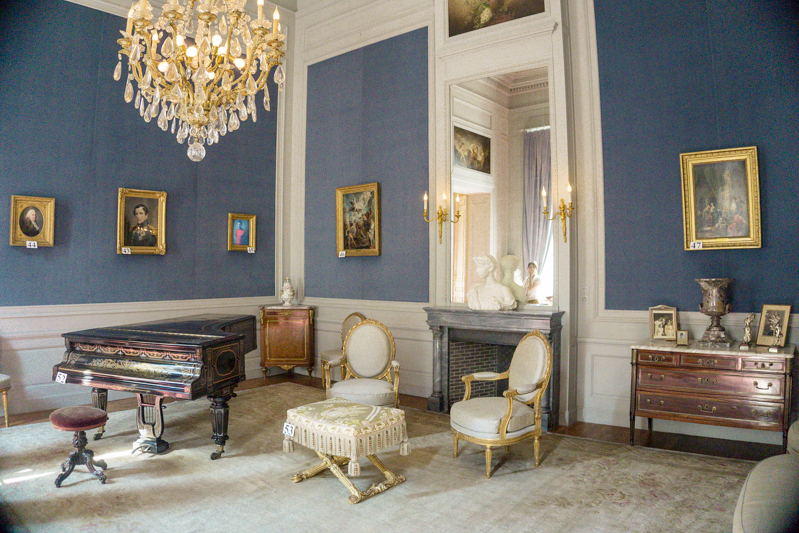 This room features the portraits of King Leopold I family. It is a beautiful room with a harp. 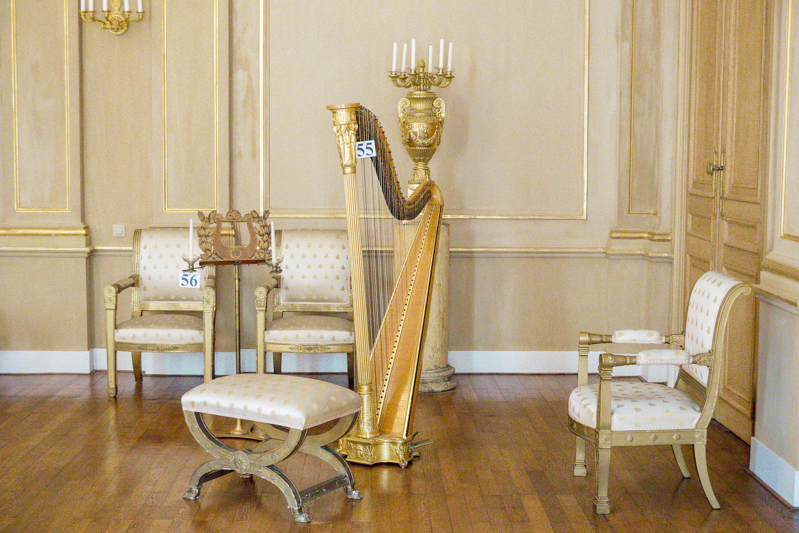 Imagine entertaining the guests here with the sound of the harp. If I remember correctly, the desk in this room is still used by the King. 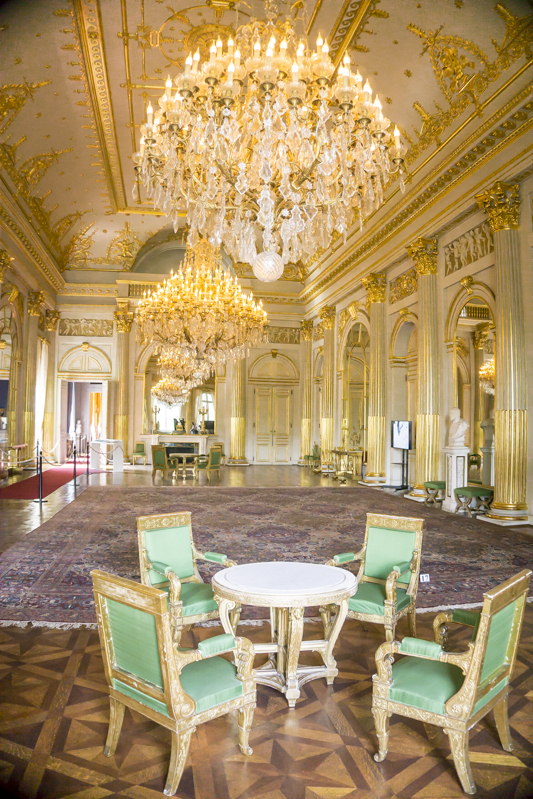 This beautiful ballroom is my favorite in the palace. The mesmerizing chandeliers were inspired by the Tuileries Palace in Paris. There was an exhibit of some royal jewelry and badges. 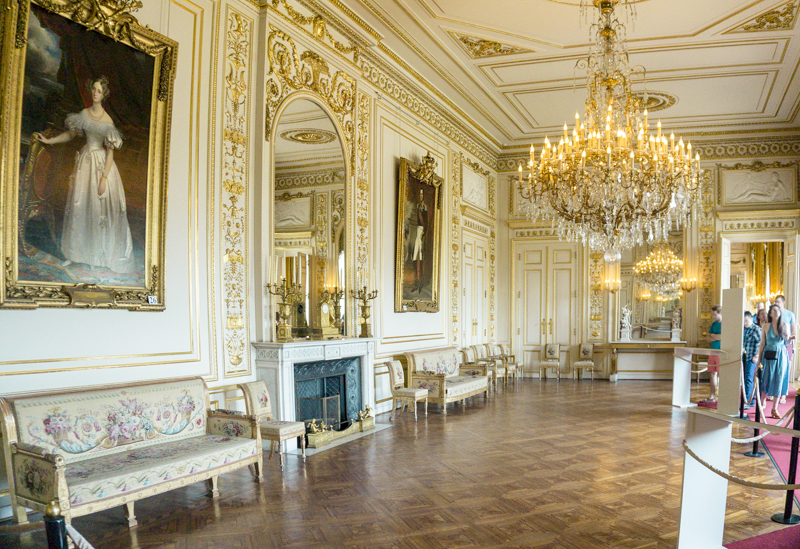 Designed to be a gala room, this is where the royal family frequently hosts dinners and receptions. Inspired by the Louvres and the Chateau de Versailles, the ceiling was painted by Charles-Léon Cardon. When I visited, this gallery had an interesting science fair-like exhibit. It is such a unique room that I never expected to see in a royal palace. Unlike other classic royal rooms, the Mirror Room is modern and artsy. One of the chandeliers, called Heaven of Delight, is made with nearly a million and a half jewel beetles. Even though I don’t follow royal news around the world, I enjoyed the Royal Palace in Brussels. It was almost as if I was visiting someone’s glamorous and luxurious home. And while I was taking a look at every corner of the mansion, I felt comfortable. No one gave me the stink eye or patronized me although I’m pretty sure I was being watched on security cameras. In fact, I liked the Royal Palace of Brussels much better than the Chateau de Versailles. I know I’m probably comparing apples to oranges; they were built at a different time in a different style and so on. But it is only natural for me to compare my own experiences as I visited one palace to another in one month. At the same time, I was glad to have visited the Chateau de Versailles in France a week before my visit to the Royal Palace of Brussels. I was able to see the Versailles-inspired rooms while my memory of “the original” was still fresh. Additionally, I got to appreciate the manageable size (rather than getting disappointed), less crowded rooms (I could take photos!) and a well-A/C’ed building. If you find yourself in Brussels in the summer, take advantage of the limited opening and visit the palace. Do you enjoy visiting royal palaces around the world? 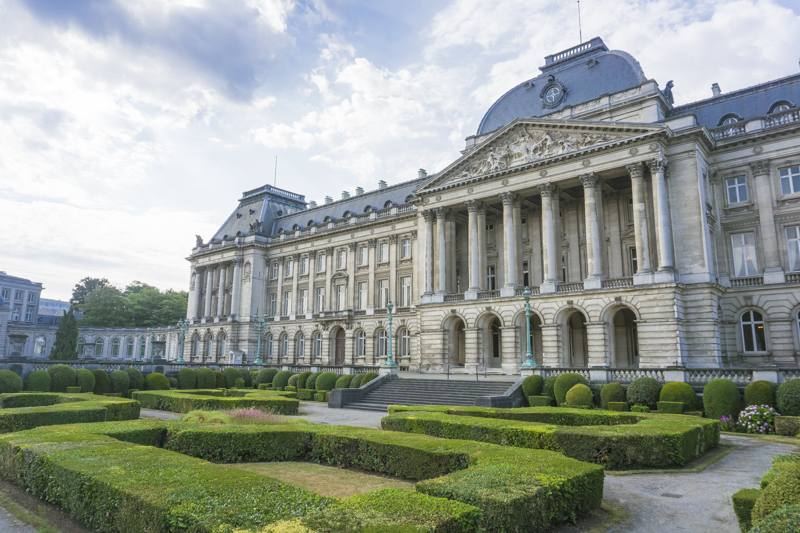 How does your experience compare to the Royal Palace of Brussels? I’m curious!